Adam tells us all about how he started, what’s going on with his company and his new pickup design; the “Tuned Aperture Pickup.” It’s a nice talk and you’ll get a good bit of information about the cool new design of his pickups. Check out his website and kickstarter. An old friend of mine went to the Paul Reed Smith Experience last week and provided a day by day report of events. I’m green with envy! 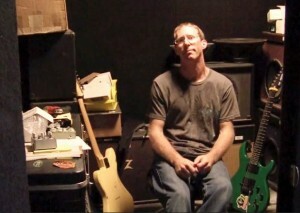 Check out the PRS website, but first enjoy this video from the PRS Tech Center. This week I got to talk with Ryan Dunn of ToadWorks USA Effects Pedals. This was my first Skype interview so the audio fluctuates from time to time so it was a learning experience! Ryan provides a lot of insight into how and why he got started making and selling pedals as well as the future of ToadWorks. Here are some key websites – one of which of course is the ToadWorks website, but a few others Ryan wanted to share! I hope you all enjoy this, I sure did!